Abbas Araghchi warns Iran will leave talks with the European signatories of the 2015 nuclear deal if it feels that they are a waste of time. 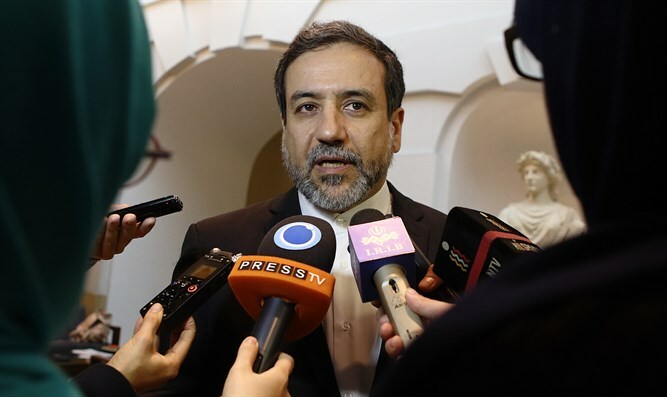 Iran’s Deputy Foreign Minister Abbas Araghchi warned on Sunday that Iran will leave negotiations with the European signatories of the 2015 nuclear deal if it feels that the negotiations are a waste of time. “If we feel that the current negotiations are going to be abrasive or a waste of time, naturally we will stop negotiating,” he said, according to the Iranian Mehr news agency. U.S. President Donald Trump announced earlier this month that he would pull out of the Iran deal and would reimpose sanctions on the Islamic Republic that were frozen as part of the agreement. Iran and the European signatories to the deal, known as the Joint Comprehensive Plan of Action (JCPOA), held talks in Vienna on the weekend on how to keep the deal alive despite Washington’s withdrawal. “The Islamic Republic of Iran has not yet decided whether to stay in the JCPOA or not and the final decision in this regard is left to the results of the negotiations with remaining members of the JCPOA in the next couple of weeks,” he added. A senior Iranian official said on Friday that his country will pull out of the 2015 nuclear deal unless it receives concrete guarantees that the economic incentives of the pact will be protected by the other parties following the U.S. decision to withdraw. EU foreign policy chief Federica Mogherini said recently that the European signatories to the agreement are talking about solutions to keep the deal alive but also indicated that the EU cannot provide legal and economic guarantees to Iran.